*G900FXXS1CPGZ kernel source based, 3.4.30 kernel. * Galaxy S4 Active (SHV-E470S) is need to Philz touch recovery. E330S/K is working. I9506 is wait some days. Did you choose any model from the aroma installer? i have installed 2-5-2016 release s7 edge rom on e330s,there was call sound problem but fix was available. everything seems fine to me except SD card. i can not access internal and external sd card. any fix for this? my e330s is working this bug. I will check bug. Thanks to report bug. 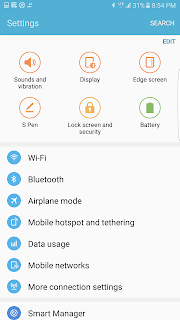 hi thank you support this ROM on gt-i9506 f2fs? yes i did choose korea slk during installer , sometimes the rom much fast and sometimes its little slow . my question regarding sensors and camera , is it possible to make gesture take photo at camera to work ? 액티브입니다.화면회전이 켜져있는데 회전이 되지 않습니다. my phone e330s , can i flash darklord kernel direct ? there is many , which one i should use ? wifi keeps turning on and off every 5min. your rom is the best for me.it is amazing. But i have a problem with custom rom for my device,when i flash any custom rom, somtimes i couldn't able to send sms.it is fail to send.then i have to restart my phone or change network operator manually.this problem is only coming with custom rom but not in stock rom.please regard my problem. 설치법에 커널 설치는 안 적혀 있는데 이번에 올라온 1.7버전 커널을 올려도 되는건가요? 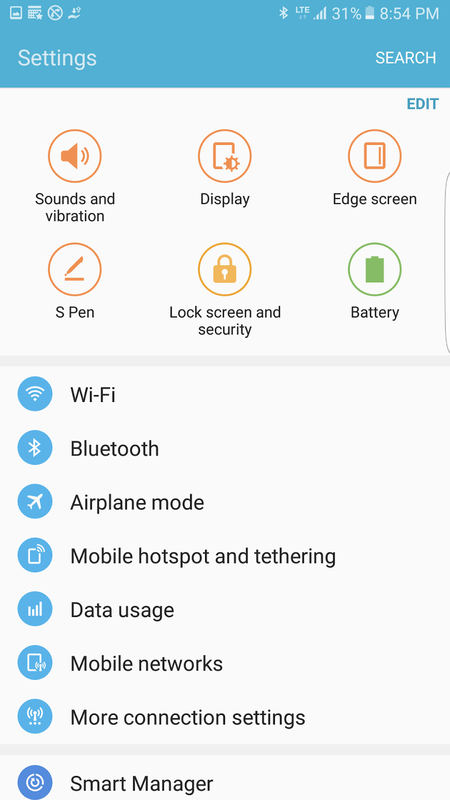 Hi I am using the DarkLord S7E for S4 LTE A but my battery icon and signal is quite small. 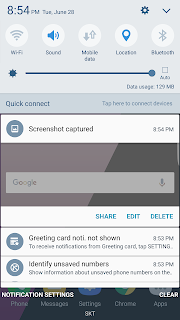 How to be normal like the S5 ROM? still the same, 20160514 build. wifi keeps turning auto on and off every 3 to 5mins. when changing to darklord kernel, it will stock on boot logo. private mode also not work. can i ask brothers here that have same model SHV-E470S? Do we have a latest version of TWRP or Philz recovery? OK iam happy for update your ROM S7 is best port ROM for now thank you for your hard work. - fast answer to sms on floating notification doesn't work. first of all thanks for the new updates. I faced a problem in latest versions. The proximity sensor does not work. Any workaround for that? I have generally problem with all sensors o today's version, gugu0das fix this please, as your rom is awesome. Theme for your effort. I have generally problem with all sensors o today's version, gugu0das fix this please, as your rom is awesome. Thanks for your effort. Yup, confirmed, all sensors doesn't work. How to exFAT => f2fs in recovery? 필즈 터치 6.12.8에서 f2fs로 파일 시스템 교체 어떻게 하는지요? 만약에 6.12.8에서 안되면 파일 주실수 있으신가요? @gugu0das on i9506 all sensors doesn't work, CPU-Z doesn't show any working sensor. Second bug report is no working bluetooth headset with calling. If i answer or call someone with bluetooth headset connected i won't hear nothing and they dont hear me too. And if I after that turn off bluetooth to call someone i do not hear noone and they do not hear me, only reboot fix it..
twrp에서는 그래픽이 깨지긴 해도 열릴 겁니다. f2fs는 데이터와 캐시 파티션 초기화 하는 옵션에서 다른 포맷으로 초기화가 가능할 겁니다. And, I don't have bluetooth headset. so test is so hard. You can test it with bluetooth speaker. And I have 2 question for You, its hard to add haptic settings like in Dark Lord kernel? And whats about nfc? Its hard to add it? Haptic is so hard. only darklord kernel is port success for new samsung vibration driver. and nfc is... I don't know new nfc driver in kernel source. Thank you for your hard work. I have new issue with the latest version, I'm not able to connect to connect corporate wifi, which is using EAP for authentication (this is working on 20160514 build). I don't have notification bug. None of the music players can play FLAC audio. It works on only Poweramp and MX player. Could you please check this? Take care and keep up the great work! Im my opinion it's the best choice guys for i9506. my only problem with this rom bro is the kernel i think. its not working very well with SET CPU, i cant manage very well the frequency of cpu with those governor, can i ask if you can fix that bro? other than that, all is amazing. this rom is the best for my shv-e470s. thumbs up and keep up the the good work bro gugu. ok. i will upload other cloud. Great ROM for my GT-i9506 LTE-A (version date 23/07). Amazing battery life (I've never reach more than one day with my use before. Today I reach 15% after 1.5d). Is anyone having issue with autorotate...it stops working after some time...can you please fix this? Thanks in advance. Today's new update seems to fix this feature and maybe Bluetooth calls. On lastest build 0804 - i9506 sensors are turning off after some time anyway, but bluetooth calls are fixed. Thanks for the update. If you want to use Always On Display, just enable CPU wakelock (i.e. through an app), turn on this feature and it's gonna work. I flashed my e330s version on 23/07 ,i love this rom so much.everything is working for me but i have a problem in charging.sometimes phone recognize charger as usb,then unplug and replug says chager.please regards.how to fix??? I love this rom very much.thank you! So is autorotate fixed or not? It gets really annoying after some time. Maybe it's just i9506 International bug. After few hours every single sensor stops working(incl.gyroscope, accelerometer, magnetic sensor, humid&temperature, pressure). This is a source of autorotate bug. I am using gugu0das kernel. I confirm on ks01lte (release 07/23) that's after 6 days without reboot, autorotate stops working. I'll try on 08/04 release. e330s - front cam not working video mode,show camera faild.changed video size (HD 1280x720), but camera failed. auto brightness not working good. after power on or reboot auto on multi window. how to fix front camera video mode failed. first go to front camera setting- off video stablization- change recording size 1080p......... now it's work..
is this working video call? Does maybe someone has huge battery drain? I left my phone with 100% battery at night and woke up with 48%..23/07 had better battery life. I can confirm there is unusual battery discharging. Someone have a fix for the battery drain please? Return to the kernel from 22/07 may help. I didn't tried, though - I'll wait for gugu0das's opinion. I don't see point of custom kernel if it is not fully modded to be functional with rom. Rom is really good, but it need good kernel for it like kernel for S4 9505, Imperium kernel 4.5.
so ks01lte can do et least CPU 2.72ghz stable with stock voltage and 600Mhz gpu. Then probably it will be more smoother with video recording. system\lib and system\vendor\lib need to be replaced with one for 9506 configured to fully working kernel. As on CM13 NFC is working that module can be implemented to TW kernel for 6.0.1 because it is all linux based. And where is inteli thermal control in rom and kernel? I think kernel not smooth....if display off or locked not drain battry.if display on drain battry...fix that...sometime stucking music ,video play backs.rom is awsome..quickly fix this problems..sorry for bad english. Please do not require anything from developer. Nobody pays him for doing all this work. The kernel is good enough, except sensor hanging. Overclocking S800 in this device is not a good idea at all. On 2.3GHz it is hot enough. If NFC was easy to fix, he would actually done that already. And argument that "it's all based on Linux' is just not.. clever. Intelli thermal is not required here, because he already implemented some other overheating protection. It won't burn. kernel is rebased (Based G900F kernel source). I will update rom and kernel. I have a problem with the private mode in the 23 are there a fix? @Aleksander Zioło with intelithermal it can be freely OC and if it is hot i will not use fully CPU scale.I Think that 9506 is the lastest version of S4 and it deserve to have all stuff for S4 what exist.Also my girl have hybla TCP governor on 9505 and she can catch wifi and I Cant woth 9506 with cubic governor. gugu0das please try to add OC,96mhz to 2.72ghz with inteli thermal, SmartAssH3, nightmare,darkness etc governor. you can cheery it on git from imperium kernel for 9505 and hybla TCP. 유튜브 시청할때 720p 이상 화질로 보면 뚝뚝 끊겨서 힘드네요 이 현상 수정 안되나요? Is there a way to remap the keys? I would like to have the menu instead of recent apps. And a double tap feature would be nice. Can anyone confirm if this ROM works on Galaxy S4 E330L (Korean)? Why F2FS is removed? It is one extra features of tuned kernel. I allways use F2FS for data and cache partition. this kernel is beta version. new kernel will be upload in other post. hi gugu0das, first all, Thanks you for this rom, it's awesome, this rom run very good in my Galaxy S4 GT-I9506, just the nfc not working just i wait for the fix, and the problem with youtube 60 fps, just i change the model SM-G935F to GT-I9506 (original) and work perfect, thats all, Really thank you gugu0das (sorry for my basic english, spanish languaje). Steve Alderson - do you have sensors 100% stable (working for seceral days without problems - I'm speaking mainly about proximity and light sensors) on this firmware? If yes - which stock firmware did you have before flashing this one? bairog - sensors work fine, i tested this rom for 7 days, and work fine (battery, sensors, etc) except the nfc and i found a bug, when turn on flashlight , the ui it's lag very little but it is not noticeable just reboot and back to normal, maybe kernel, the previous Android is other version of this rom, but to install this last version i reinstall the android lollipop 5.0.1 stock to extract some app, and i wipe and install this. (sorry for my basic english, spanish languaje). Stefano Gottardo, are you talking about s5 port by gugu0das? If yes - are you using it with the original gugu0das kernel, or you use 19.09.2016 version? You have done a clean installation? -Turn on flashlight, lag in ui it's necessary reboot phone, problem solved with past kernel but battery drain its back and other bugs. -native photo editor in cut image,stopped force close, problem solved with past kernel but battery drain bla bla. Please check that, your rom it's very good,if you solved this bugs your rom are 100% stable, good job gugu0das. Sorry sir, may I ask you? Which the best version of darklord for my samsung shv e330S? I was install any rom but when i send a message. It always failed. I can confirm that ROM is working on my Galaxy S4 LTE E330L. I installed the version from 07 23 2016 because I saw a post saying that it's the most stable. Awesome ROM! Thanks for the good work! 9월18일자 롬 다운로드 링크가 작동하지않습니다... 0804일자 롬사용중인데 대기모드에서도 5분에 2퍼센트꼴로 배터리가 녹으니 답답하네요 ㅠㅠ 번거로우시겠지만 다운로드링크의 복구를 요청합니다. the link of 9/18 can't download ,can you update it? the link of 9/18 can't download ,can you update in mega link sir. in the rom of 9/18 ,when i open the switch of nfc,the setting is stopping. Same here. NFC not working with the 9/18 version, it says: settings has stopped. If you want NFC, change 0804 gugu0das Kernel and add lib/hw/nfc~.so. I don't use NFC, just thought I should let you know. Why use NFC when bluetooth does the same job :D about the latest ROM version, its laggy and not very stable in my opinion. The one from 2016.07.23. seems to be the best. It hase excellent battery life and is very smooth. I'm having some minor issues with that version though, it doesn't give notifications correctly: I have to keep viber open so that I get notifications. Same for other apps. Thank a lot for new update:-).we will try it definitely.I love this rom so much. Such a nice updating rom for my e330s device. Thank again bro.really appreciate your work.keep it up!thump up! Has anybody already tested version 20161120? What about battery life (compared to official firmware or AryaMod or ...)? but battery life is.. I don't know well. I'm so sorry to answer late, because very busied. please tell me the different 04/08 and last update , cz i use 04/08 ..
and the last update, like any sensor mobile data fix on last update? 동영상 촬영 기능이 작동하지 않습니다. (삼성 카메라, 구글 카메라, 오픈 커메라로 시도해보았습니다) 또 AOD 활성화 시 AOD가 계속 깜박거리는 현상이 있습니다. 확인 부탁드리겠습니다! 동영상 촬영은 카메라 옵션에서 fhd로 바꿔주셔야 합니다. FHD, FHD(60fps), HD 모두 시도해 보고 세팅에 있는 체크박스 모두 해제(손떨림 보정, 트래킹 af, 위치 태그 등) 후 시도해보아도 동영상 촬영 시작 후 끝을 내면 진동과 함께 촬영 중단, 캡쳐, 일시정지 버튼이 비활성화되는 현상이 있습니다. 오픈 카메라의 경우에는 동영상 촬영 즉시 알 수 없는 오류:동영상 중지라는 에러메시지가 발생합니다... 혹시 감잡히시는 문제점 있으시면 꼭 알려주시면 감사하겠습니다. 앞으로도 롬개발 지속적으로 해주세요! 감사합니다. Hi. The Smart Manager goes to FC when I tap RAM icon. Regards. Dropbox, facebook sync is not working. Sometimes open applications automatically closed. Smart manager close when click on ram icon. I've just installed DarkLord.S7E-20161120-jactivelteskt_ks01lte.zip on ks01lte. - call recording. Recorder itself is working (mic sensivity seems to be low though) but my recorded call is with no sound. 2 minutes of silence. Anything I can check? Set up? ROM is working quite OK. Since most of the time my apps were installing (55 apps) but despite that phone was usable. After apps are installed it's more responsive of course. OK, the DarkLord.S7E-20161120-jactivelteskt_ks01lte.zip seems to be laggy on ks01lte. It's not that bad but you can easily see that animations are not perfectly smooth. I'm quite surprised, because due to some reason phone is not laggy anymore. How this can be possible? Is android doing something/not utilizing full power during first hours after flashing? Is it possible that power plan has been adjusted/changed? I don't think it's just my imagination as my mates at work also confirmed that animations are better now (I've shown them device just when I came to work so they've seen hot it performed). *when i added modules for the xposed framework,restart getting bootloops & wiping cashe is not fix it. @please regard above details & fix issues. shv-e330s work....thank u so much brother. - Active display and night clock didn't work correctly. it display but start blinking and continue blinking. - Sometimes phone became very lagging. After restart this will solve. - Dropbox and facebook sync didn't work. means images don't show in gallery. - Sometimes open application force close. 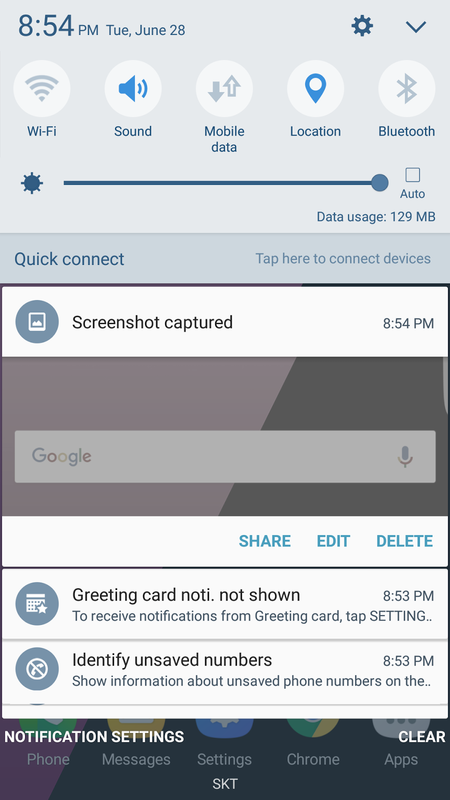 - Camera app (stock) doesn't display newly taken photo in corner of the screen. - The Smart Manager goes to FC when I tap RAM icon. please comment> how to sole this position???? front camera video recording fail s4 e330s how to sole?? * hand free plug in phone auto restart. please comment> how to sole this position???? u have any updates ??? wifi keeps turning on and off every 2 min my model is shv-e330k how to fix ? mobile data not working.how to fix? AOD의 밝기가 항상 최저로 설정 되어 있어서 AOD가 깜박 입니다. 카메라는 밝기 조절 외에는 대부분 정상작동 합니다. 스마트매이저에서 램 RAM진입시 스마트매니저가 종료 됩니다. 게임툴즈로 게임 녹화시 게임 소리 녹음을 선택 하면 녹화가 불가 합니다. 왜 뮤직과 사운드얼라이브가 구식 인가요? 그리고 adapt sound를 적용 시켜도 적용이 안됩니다. 제가 배포하는 다크로드 포팅롬들은 NX팀의 다크로드 롬에 통합되었습니다. 해당 롬이 버그 및 여러 부분에서 개선된 롬이니 해당 롬으로 올려주시길 바랍니다. my phone is e330s ROM is working smoothly but there is some bug after I changed my settings sounds are not playing .... is this kernel error? because i didn't flash Kernal :D can you give me a link to download kernel? I'm using this rom and working very good. 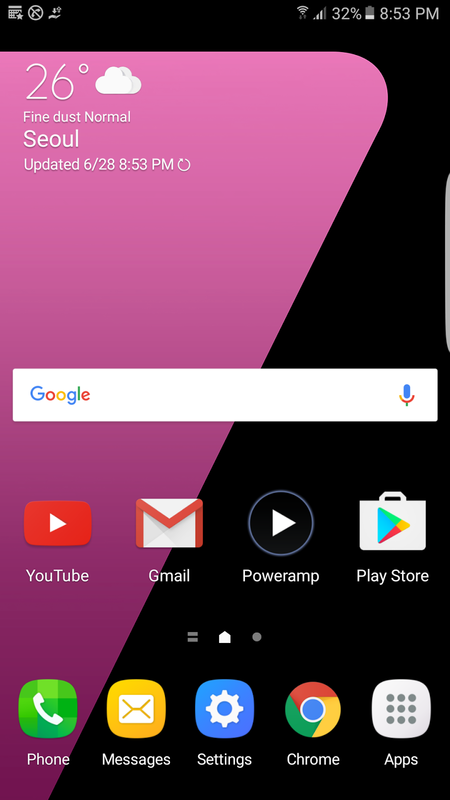 I try fougat rom but i feel bugs in rom so i get back to darklord s7e rom. After this my wifi and Bluetooth didn't work. When i try to turning on they won't turn on. 저기요 이룸 갤럭시s4전용 무선충전으로 충전 되나요? ?